Albemarle Road, which runs from Flatbush Avenue to Nostrand Avenue, was originally named Ausable Avenue, and was renamed Butler Street in 1897. At the turn of the century, it was fashionable to use old English names for streets and neighborhoods. This neighborhood’s namesake is the borough of Kensington in London. Other streets in the neighborhood also have English names. In 1904, Albemarle Road was named after the street in London, which itself is named for the Duke of Albemarle. Other namesakes of Albemarle include counties in North Carolina and Virginia, as well as the largest and highest island of the Galapagos Islands, also known as Isabella Island. 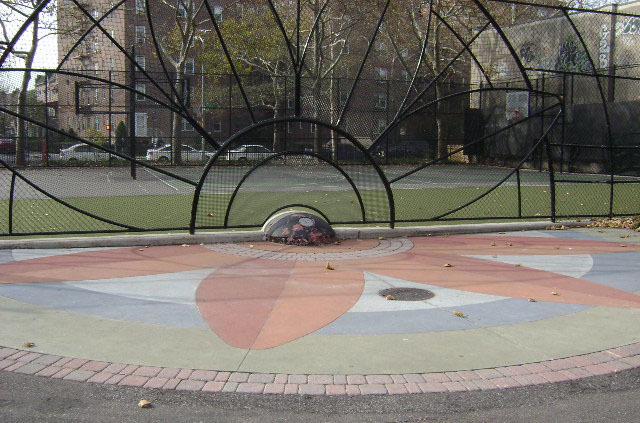 The City of New York acquired Albemarle Playground in 1960 to be a jointly operated playground maintained by both Parks and the Board of Education. Serving as the recreational facility for adjacent P.S. 230, as well as for the surrounding community, this park opened in 1961. Though it was long a popular recreational area, the park did not undergo any major renovations for more than 35 years. In 1996, a $542,000 renovation gave cause for much celebration. With funding from Council Member Stephen DiBrienza, both the children’s playground and the adolescent and adult-oriented asphalt facility underwent major reconstruction. The children’s playground now features trees, drinking fountains, benches for adults, children’s swings, multi-colored gym equipment, a kiddy’s fireman pole and a walking bridge. Parks also installed safety surfacing, a spray shower, game tables, and block pavement. 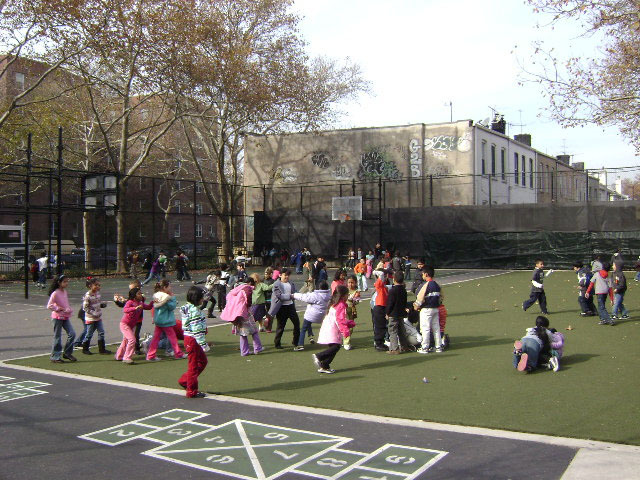 The other part of the playground is more oriented to athletics and sports, and consists of two basketball courts and an asphalt recreational field. As part of the renovation, new basketball backboards were installed and new paving laid down, making the court more suitable for recreational play. 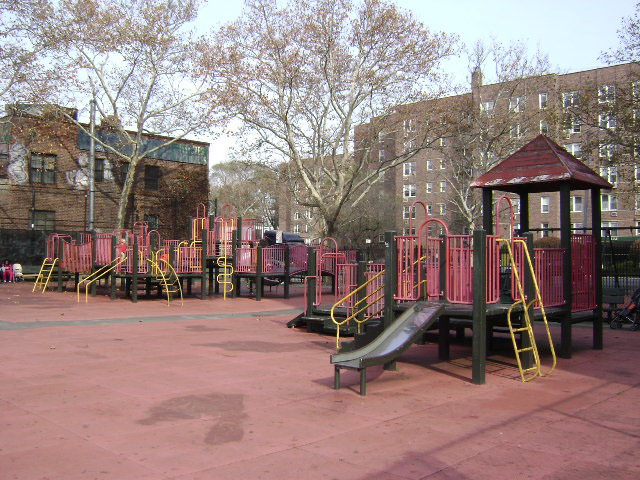 New and improved, Albemarle Playground continues to be one of the most popular recreational areas in the Kensington neighborhood.